Ace Combat 7 launched on Steam yesterday, and despite a two week delay over the console versions it seems the PC port isn’t working as it should be. 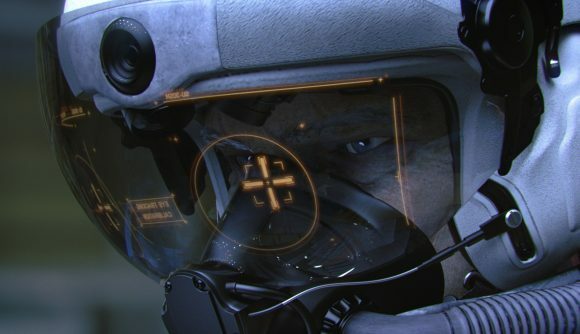 Despite general positivity over the game’s content – you can read our Ace Combat 7 review for more on that – resolution bugs and lacking flight stick support have brought in a rash of negative Steam review which have brought the overall evaluation down to mixed. If you want to play Ace Combat 7 at 1080p with a traditional gamepad, you’re pretty much golden – but the features you expect from a PC release are much sketchier. 4K is currently bugged, and Reddit recommendations suggest that you’ll have to fiddle with fullscreen options and make sure Windows resolution scaling is off before the selection will take. You’ll be similarly disappointed if you’re looking for ultrawide support. You can manually force any resolution through the ini file, but it seems this won’t properly account for the aspect ratio, leaving you with a letterboxed image. Additional, folks who pre-ordered and pre-loaded were struck with bugs that required a reinstall to solve. The bigger issue for PC flight aficionados is the lack of flight stick support. A Reddit thread pulling together Japanese tweets from Project Aces suggests that this a bug the developers are working on. In the meantime, it seems only a select handful of HOTAS setups will actually work with the game. And while this particular point is a bit niche for most users, there’s a tinge of bitterness that the game’s VR mini-campaign is exclusive to PlayStation for the next year. At least we’ll always have JPEG Dog. I didn’t want to wait for Ace Combat 7, so I played it on console a few weeks back and had a great time – at 1080p with a standard controller. That experience seems to be well-represented here, but PC players were certainly hoping for more. Hopefully the developers get the issues worked out quickly.